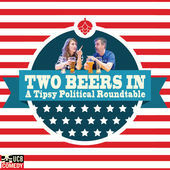 I was excited when Charlie and Cody asked me to come on thier Two Beers podcast a few weeks back. They have interviewed some interesting people and with the two beers format, nothing gets taken too seriously. If you want to know about my work, this is a really good way to get introduced to my thinking. Charlie and Cody ask a lot of great questions and I manage to answer more than a few in ways I can live with.